Hey guys. 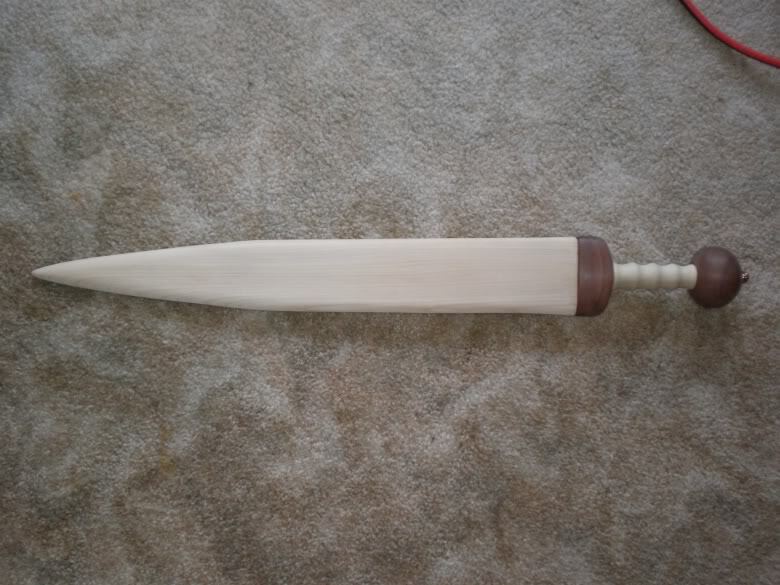 So, I know that this is nothing exciting for all of you out there, but I thought that I would chronicle my first attempt at making a scabbard for my Albion Allectus. 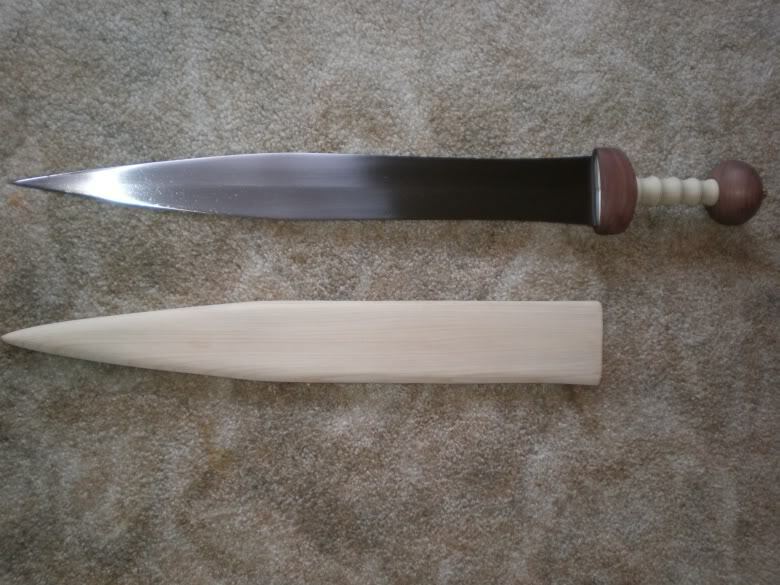 I have three new Albions coming my way and, since I cannot justify having a scabbard made for each one by someone who actually knows what they are doing, I thought that I should learn how to make my own. I have gained all of the information that I needed to do this from the people here at this wonderful site, so thank you . So far I have only completed the core for my scabbard. I made it out of two slats of 1/4" poplar. I carved out the inside by hand with a chisel and hand plane. 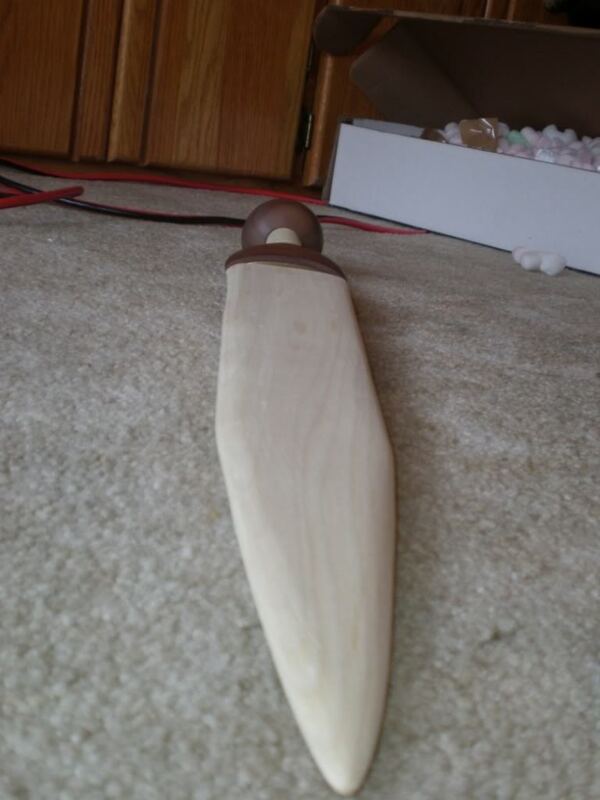 The hand plane did not work so well, so most of it was hand chiseled and sanded down. That took about four hours. So now, I need to figure out where to go from here. My initial thought was to cover the core with leather and then find or make some fittings for it. However, I now think that a bare wood scabbard may look very nice if I am able to match the color of the guard and pommel. I have been attempting to accomplish this for a couple of days now with no real luck. The guard and pommel are walnut and I doubt they are stained (just highly buffed). I had another though of creating some inlays made of walnut and leaving the rest bare. Anyway, I'll update this thread when I get to the next step. Any advice from you guys is always appreciated. On the surface so far, looks great. Your call of course, but I've been hoping someone would try something other than the normal red & "overdone with excess brass" roman scabbard. I eventually will, but takes me forever to decide & do anything, so happy to see someone with more energy doing something. And glad to see your allectus pommel & guard look like mine (quite a lot lighter than alb site pics). Sorry I haven't tried it yet, but fwiw I am hopeful that linseed oil will darken more like site. Don't necessarily listen to me (I know little), just mentioned because you talked about matching them. Also fwiw, if you might care about roman larp, I think generally advises to avoid stains. Most of all, thanks very much for sharing & look forward to your updates. Thanks for the reply Carl. I honestly am not a big fan of the way that gladius scabbards are normally done. I am going to take my time so that I don't make any hasty decisions (really don't feel like making another core). If you're going to stay with that, however, go for the leather cover with metal fittings. Sand it down a bit more so that the outward facing part of the leather lies flush with the guard for bonus points. So many options, thanks M.
Just as a by the by, someone a few years back made a core out of walnut and then had problems with the wood staining the blade. I don't recall all of the details, but that was the general gist of it. I remember being quite surprised at the time although perhaps I shouldn't have been. Take the anecdotal report for what it is worth. Slightly off-topic, but walnuts also stain. It tends to come out purple-ish depending on what you've mixed your walnuts with. I used to have a good potato salad recipe that involved (greek-style) yoghurt and chopped walnuts. If it wasn't eaten quick, people used to get turned off by the colour. This is correct. You would need some kind of fleece or perhaps rough leather for the interior (reccomend the fleece) if you want walnut. You could also seal it with some kind of varnish (the interior), but I've never tried this. You would need some kind of fleece or perhaps rough leather for the interior (reccomend the fleece) if you want walnut. You could also seal it with some kind of varnish (the interior), but I've never tried this. M.
Aged walnut (10 years + from a dry barn/ woodworker) is not all that bad. It is the new steam cured/ de-sapped walnut that tends to have the most issues with sap when heat cured and used all within just a couple of years of time after the tree was felled. 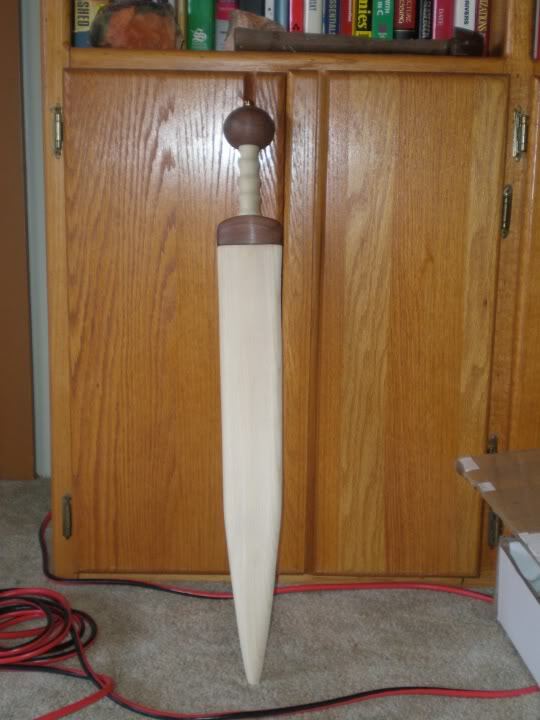 I initially had a walnut core that I kept an Albion Crecy Great stored in full time for roughly 9 months. I never noticed corrosion issues with an oiled blade kept in it for around 9 months before I decided to make a "better" more slimmed down core out of poplar wood. There was a previous post a couple of years ago of a forum member's uncovered walnut scabbard that he had carved Saxon style raised carving scroll work on. 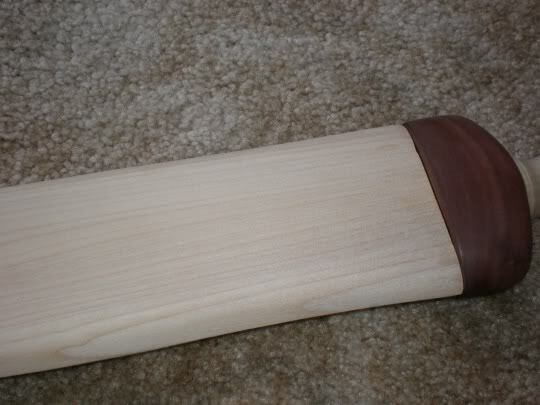 One of the premium Albion custom scabbards is also clearly stated as walnut. You could probably get second and third opinions on rather the issue is just inherent to the walnut versus how the walnut was cured. If you think about it, walnut is a material preferred by many for life time contact with oiled metal in applications such as grips, gun stocks, etc. It does require reasonable preparation for the application though. Boiled linseed oil is very cheap by the quart. A couple of light coats (allow around 3 days X coat #, between successive coats, and between last coat and gluing) should work on aged walnut if you are careful to keep it off of glue seam areas. I would brush it with linseed oil at least twice. I prefer the wool strip lining myself. I would not use any green/ young wood simply as a matter of craftsmanship.